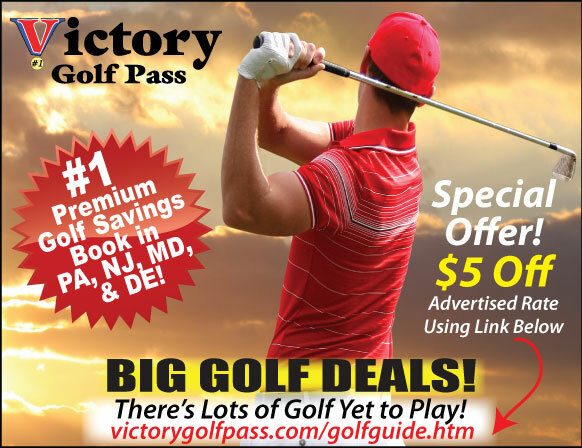 Save $5 Off the 2018 Victory Golf Pass Current Advertised Price (Reg. $55). The Golf Guide Inc. Special Advertising Offer valid using "Buy Now" button below. Hurry! Online Offer Expires November 1, 2018. To Purchase Click the "Buy Now" Button Above. In the Shopping Cart, please select your desired Quantity, and then select your Shipping Method during the Checkout Process after you enter your Billing Information. Offer valid for 2018 Victory Golf Pass book only. Purchasing Online is easy and secure using PayPal. Note: You do not need to have or make a PayPal Account in order to check out. Please allow 1-2 business days to process your order. If your order is placed by Electronic Check, please allow 4 business days for your check to clear from the bank. Once cleared, your ordered will be processed as usual.